Trades: I want a 92/93 specific DX 4 door, must be white & 5 speed. Just want a ligher model is all. Has never thrown a CEL since I've owned the car in Feb/March time. 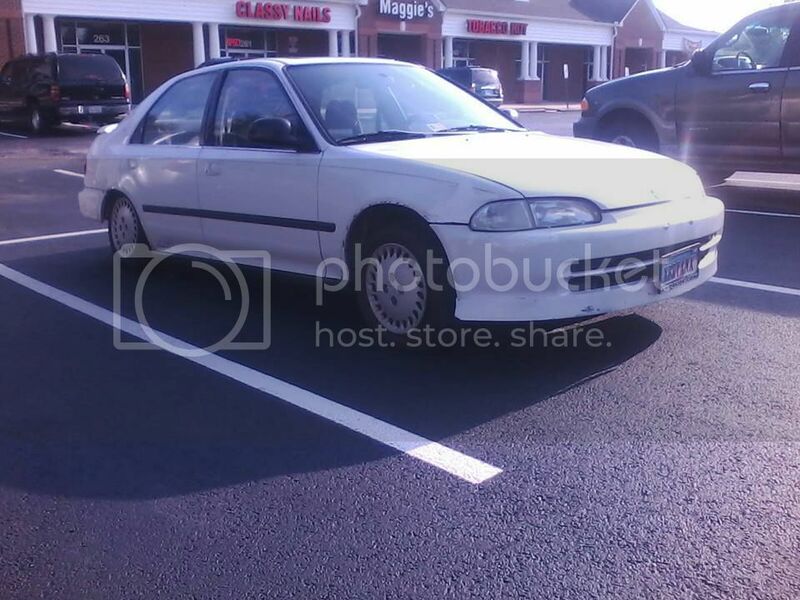 A/C, P/S, Hot heat, Moonroof, Power Windows, Locks, Mirrors. New water pump, fresh timing belt, new plugs and wires, fresh oil change. Good inspection. This model Civic also comes with ABS and Rear Disc brakes. 1.) A/C Compressor doesn't work anymore. Recharged it and it did nothing. I have another one that will come with the car. 2.) Transmission doesn't like to shift at high RPMs. I have a spare D16Z6 Vtec transmission that can come with the car for no extra cost. I know for sure this trans is perfect, as it came out of my old 94' Civic EX 4dr that shifted flawlessly. 3.) Clutch will need to be replaced but comes with a stage 1 or (or 2?) clutch and pressure plate. 4.) E-Brake does not work. I was told it is a caliper problem. put on the stock rear springs, but will include (2) stock springs for the rear and it will be good to go. TTT lowered price to $1,600 firm!